Trust your instincts and enter the duel. Prepare for a fight where only fast decisions and your own willpower can let you defeat your element-commanding opponents. When the time comes, they will try to destroy you! A storm of battle will break out and the air will tremble with omnipresent magic. Face the challenge and emerge victorious in the end! 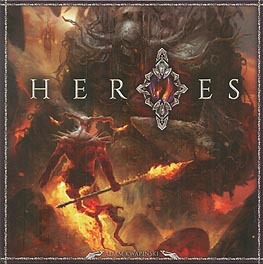 "Heroes" is a dynamic real-time game for 2-4 players, in which you become the master of one of the four magic elements. Using your dice you will weave the threads of magic spells, and summon the mighty forces of nature and the beasts that were born from them. Perceptiveness, reflexes, and a well-thought-out strategy are the keys to victory. Don't let your rivals outwit you! CREATE AN ARMY. ROLL THE DICE. CAST SPELLS AND FIGHT.